By now, the thought probably has crossed your mind to horde a bunch of Twinkies. That is if you can still find them on the shelf after the mad rush awhile back. Unfortunately, those who did the hording may not be so thrilled with their stockpile in a few years. In the movie Zombieland, Tallahassee (Woody Harrelson) searches high and low for the last box of Twinkies on Earth. During his quest he reminds us that Twinkies do have an expiration date. So it does you no real good to horde them. And you definitely don’t want to eat the Twinkies President Clinton put in the Millennium Time Capsule in 1999 (to be opened in 2100). Despite all the preservatives in them, I doubt they’ll be too tasty. 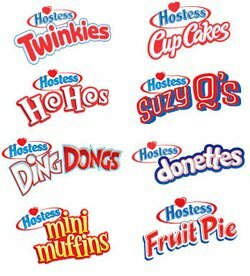 If you haven’t heard about hording Twinkies, let me catch you up: Hostess, a company that essentially been around since 1930, is on its second bankruptcy. The Irving, Texas based company has had numerous problems and dwindling market share. Hostess is closing plants, laying off its workers, and selling its assets. There are about 30 brands to sell off. 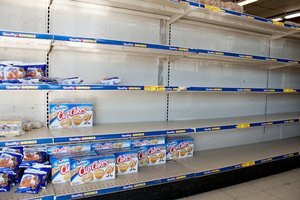 With $982 million in assets and around $1.43 billion (yes, billion) in liabilities, you could consider buying the Twinkies brand instead of hording. I’d probably recommend that a potential purchaser would want to purchase the assets and not the liabilities. While Hostess may come with a lot of liabilities, consumer behavior has shown us that some of the individual brands, like Twinkies, look to be pretty solid assets. Asset Purchase, where the seller sells only the assets and not the liabilities. Acquisition, where the buyer purchases the whole business, assets and liabilities. Merger, where the buyer merges the new business into an existing company. Auction, where the seller seeks competing bids to sell its business. Because the process has so many variables it’s important to know what is and isn’t included in the deal. Whether you’re the buyer or the seller, sound legal advice can make the difference between a profitable venture and buyer’s (or seller’s) remorse. Want to know more? Dodge Legal Group, PC can help you through the process of buying or selling a business. Contact us for our Big Idea Development: Buy-Sell Worksheet to get you started in the process. It provides insider tips and things to think about when conducting a transaction.